Blockchain.info announced Thursday its own online Ethereum wallet. Users will find new tabs for Bitcoin and Ether on the online wallet, whether or not they have Ether or have generated Ethereum addresses. The support is officially labeled “beta, and is not yet available on the company’s mobile apps. Ethereum has emerged as one of the top cryptocurrencies, helped in part by the platform’s hooks designed for conducting online business transactions. For instance, chat platform Kik launched its own in-app currency called Kin that is built on Ethereum. Coinbase, another online wallet that is also an exchange, announced its own support for Ethereum more than a year ago. Online wallets are cryptocurrency wallets hosted on remote servers. On the plus side, they offer substantial advantages in terms of convenience over local wallets. On the other hand, using an online wallet means your coins are ultimately under the control of someone else. The cryptocurrency world is divided on that front. Many believe it the height of foolishness to use any online wallet. That said, Blockchain.info and Coinbase have a good track record so far, and Blockchain.info uses client-side encryption to make users the sole arbiter of their wallet. All of the major exchanges support Ethereum. Always do your research before sending money or cryptocurrency to an exchange, but at those exchanges users could buy Ethereum with U.S. dollars or other cryptocurrencies. 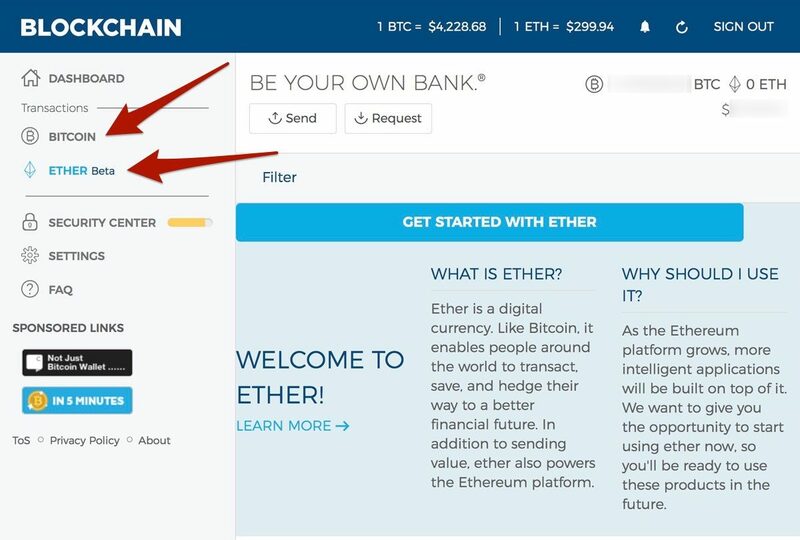 I’ve also added Ethereum to my Bitcoin Faucet Guide. With an Ethereum faucet, you can get Gwei—the Ethereum equivalent of a satoshi—for loading up a page full of ads.